Transfer Trolley is also known as Body Transfer Table. It is used to transfer the body of cadaver from one place to another (dead human body used in scientific or medical research. Brakes are provided on 2 castors . 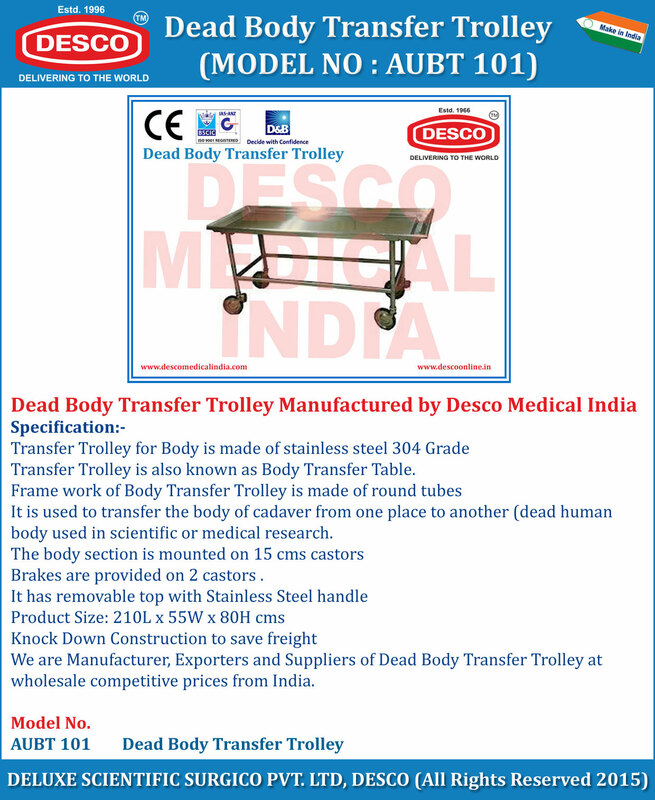 We are Manufacturer, Exporters and Suppliers of Dead Body Transfer Trolley at wholesale competitive prices from India.